See disclaimer on AVIATION TOOLS page. ​10, 11, 12, 20, 21, 40, 49, 50, 51, 55, 60. Flying is inherently dangerous. Flying in mountainous areas even more so. Careful preparation, training and experience are required. 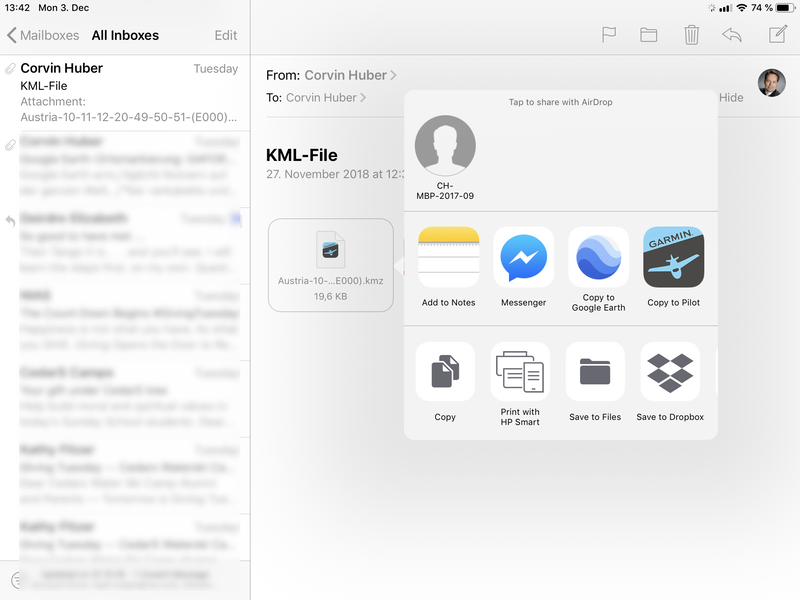 The routes offered for download here are NOT to be used as navigation tools. Use properly authorized tools and data for preparation and in-flight navigation. 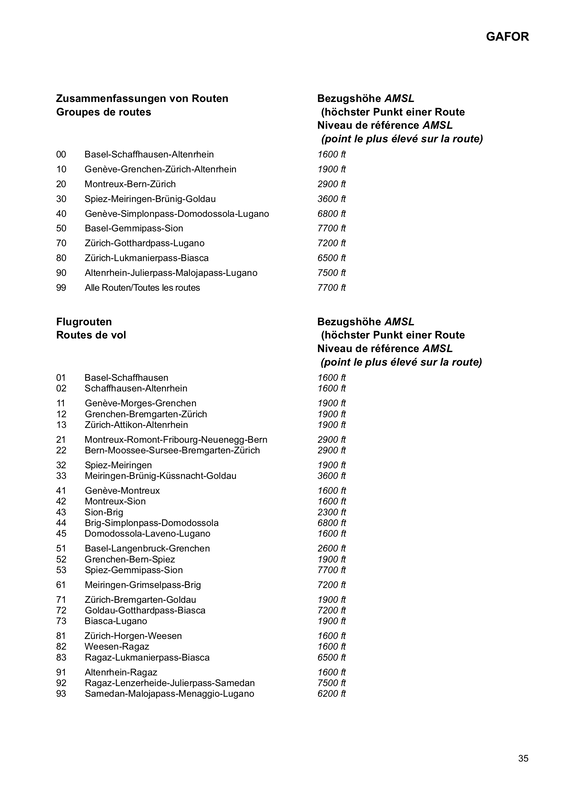 ​As can be seen from below "sources", the VFR routes given in the various AIPs are (intentionally?) 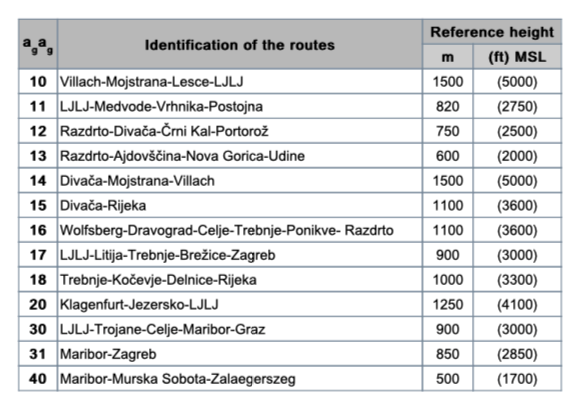 vague and are not given as flight routes but as indication of geographic/meteorological "areas". 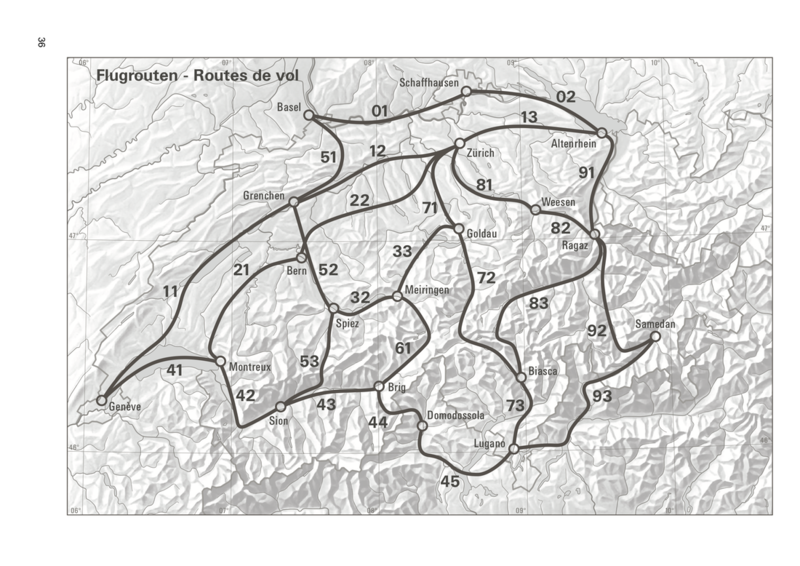 Lines on maps are no substitute for personal familiarization with the areas flown in and in-depth knowledge of the demands of mountain flying. 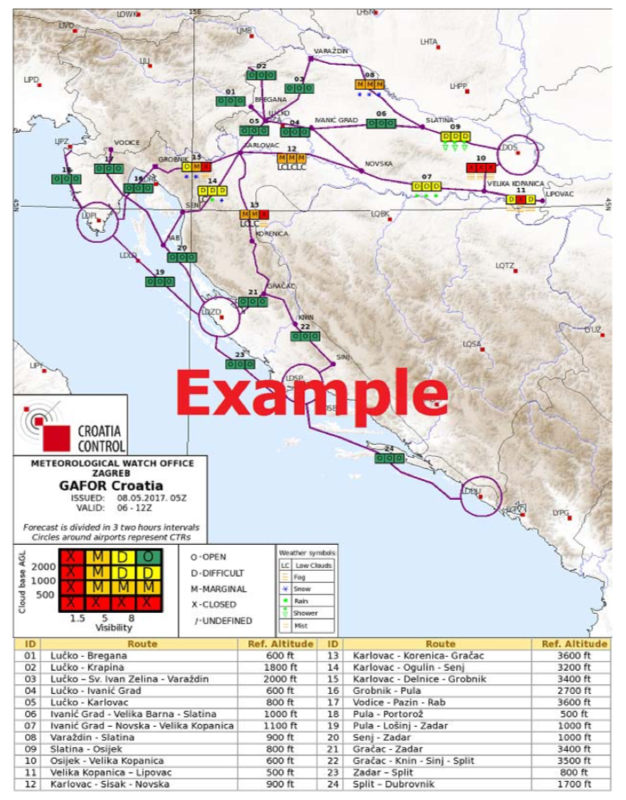 Following "lines on the map" of any kind in any kind of weather will not ensure obstruction-free routings. 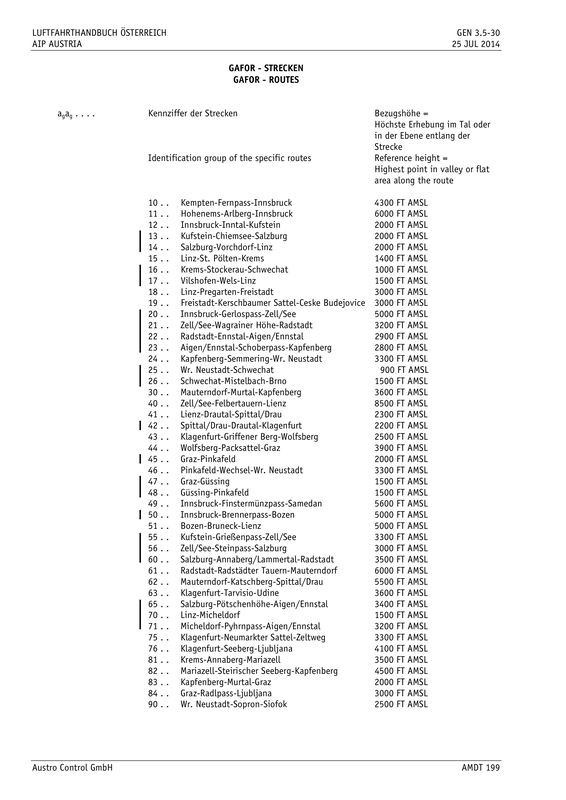 There may be dangerous power lines, cable cars, windmills, airspaces, minimum altitudes, minimum lateral clearances, wind-shears, up- and down-drafts, rotors, headwinds and other types of obstructions, limitations or meteorological conditions in or close to the line of flight when following these routes. 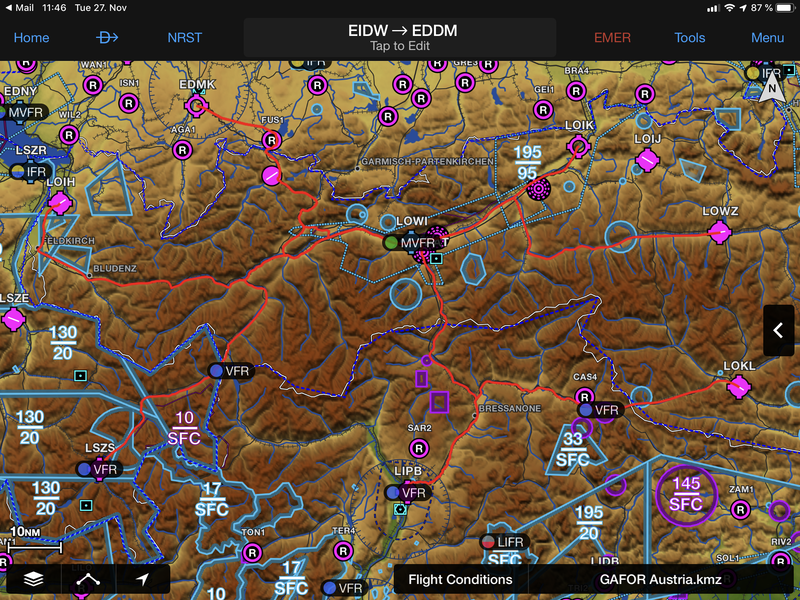 Some of the navigation programs I like to use do not have an integrated tool for showing the Alpine VFR Routes ("bad weather routes"). 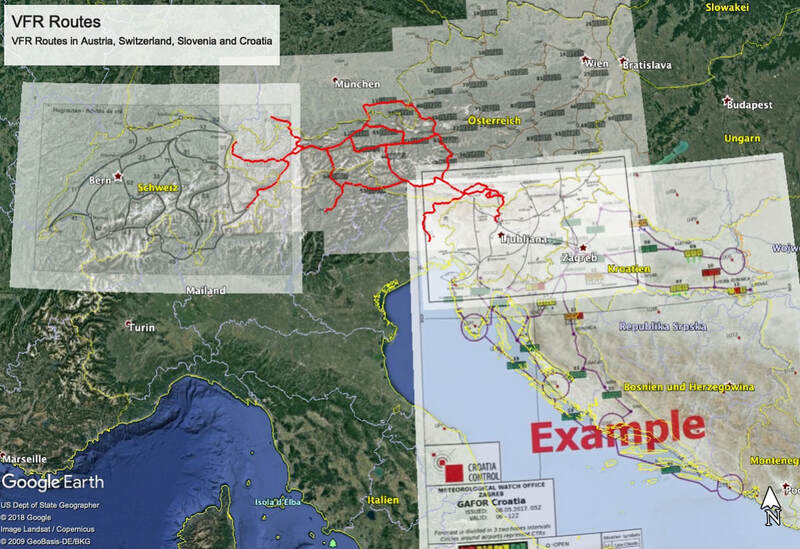 I have used Google Earth to create KML-Files that capture the published routes as closely as possible. 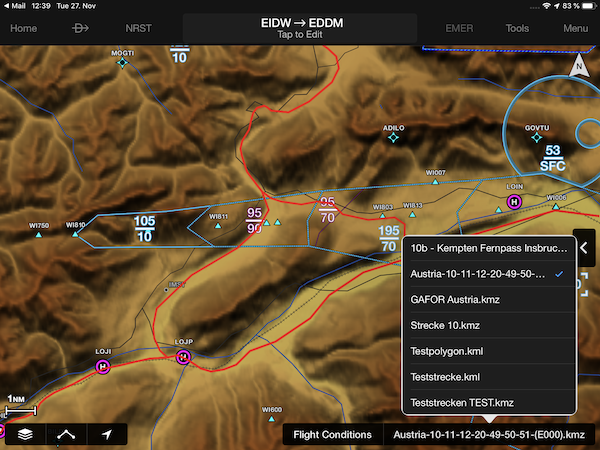 When used in GOOGLE EARTH in the 500-ft-elevation-version with the fly-by-mode on google maps, they can be used to familiarize oneself with the intended visuals of a future flight. 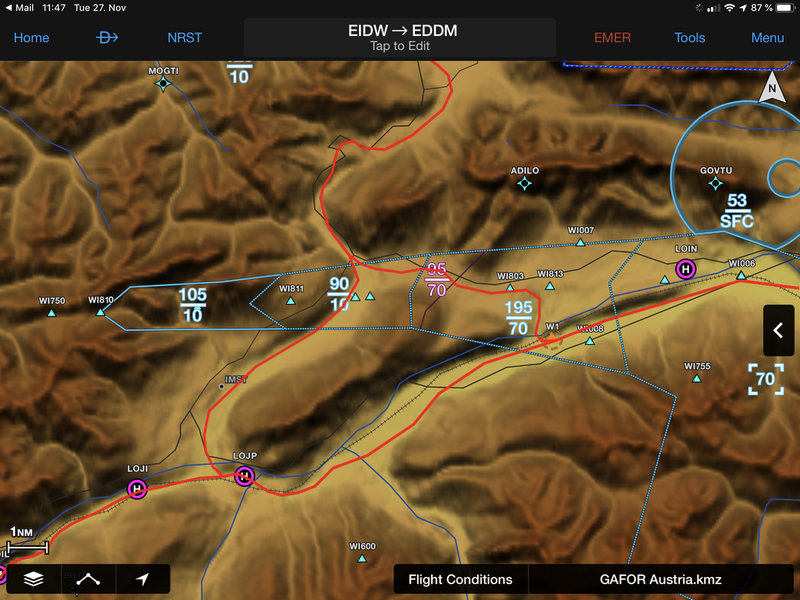 The KML-Files for different routes are combined to a KMZ Shape file (virtual folder) that can be imported to Google Earth or Garmin Pilot ®. ​10, 11, 12, 13, 20, 21, 40, 41, 42, 49, 50, 51, 55, 60, 61, 62, 63, 76. 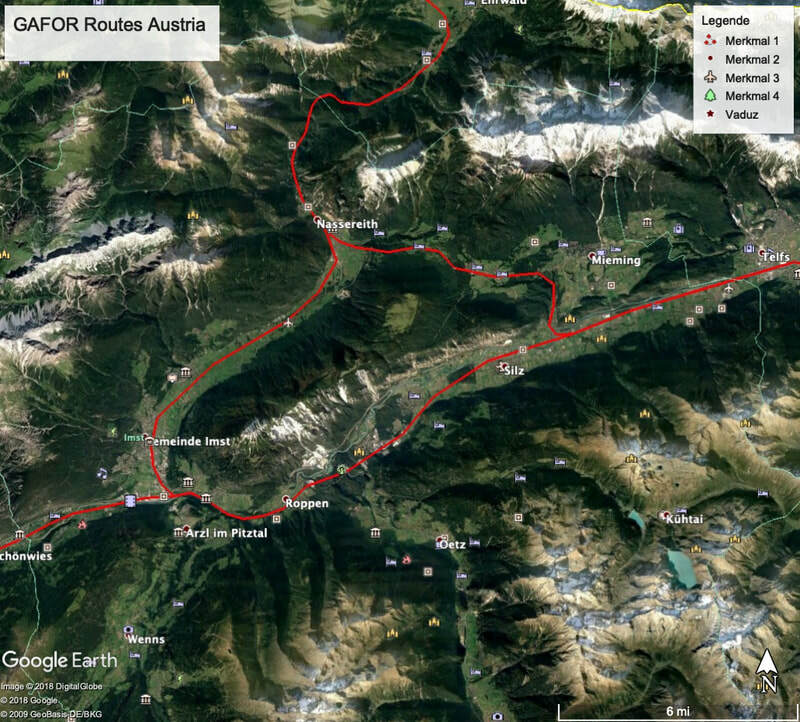 Route calibrated to 150m/500ft elevation for a low fly-through on Google Earth. 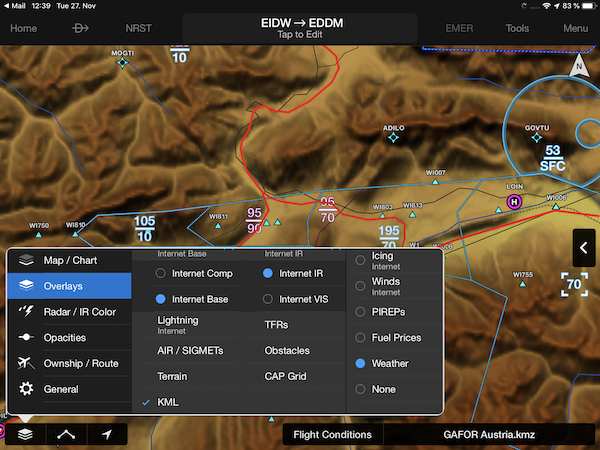 To use the KMZ in Garmin Pilot ®, send the file to yourself as an e-mail attachment and open the attached file on your iPad with Garmin Pilot ® (long press on attachment opens the "open with"-dialog). 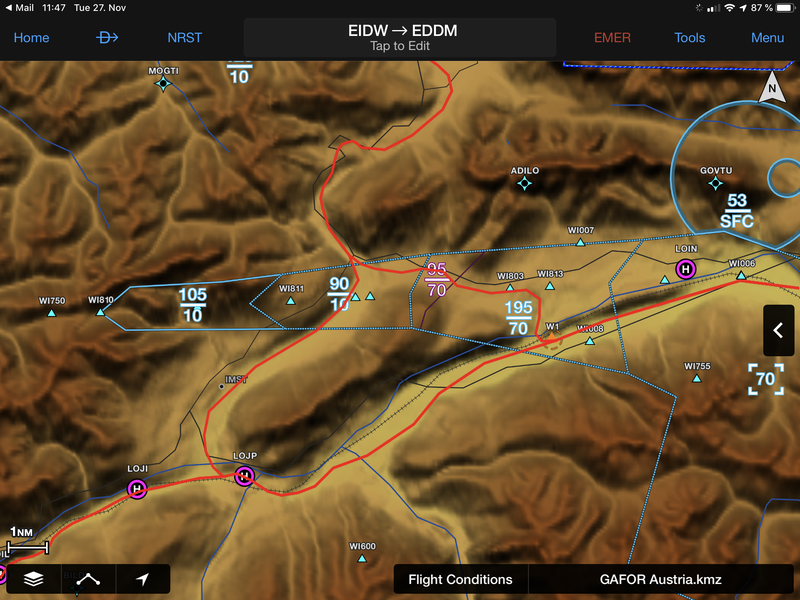 Or download directly in iPad and open with Garmin Pilot ®. 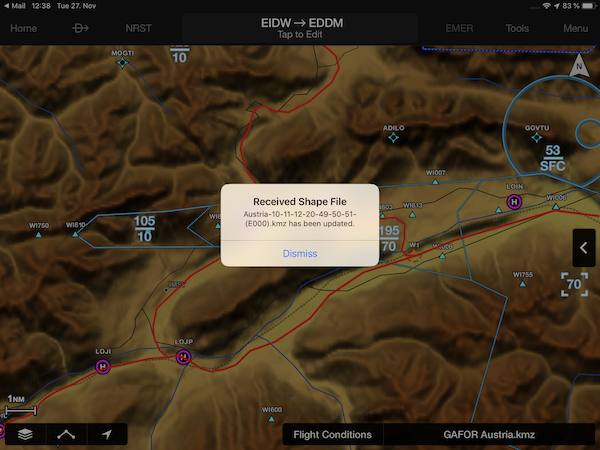 Garmin Pilot ® will acknowledge that it has received a shape file. 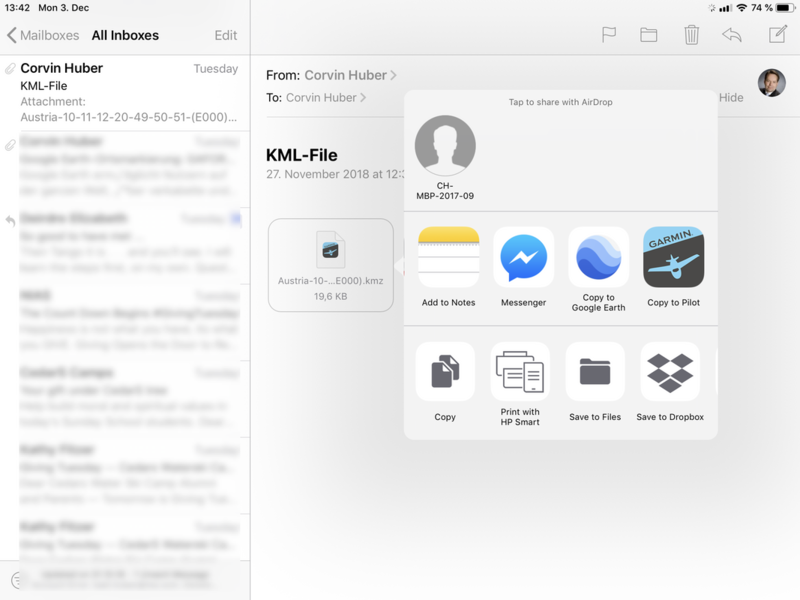 Go to "Layers Selector" (bottom left) > "Overlays" > activate "KML". Careful: the mileages given on the route profile are statute miles! Google Earth does not allow for mixing different altitude and distance units. ​2300' - not in AIP! ​1800' - not in AIP! Want to talk about this page?